Happy St. Patrick’s Day from edubTV. There aren’t too many good Irish-inspired moments in TV history unless you count that episode of 30 Rock with Jack’s family or the “very-special” episodes of Ryan’s Hope. Instead, I’ve decided to mark the day with what has to be the funniest news clip of all time (short of boom goes the dynamite). We didn’t need anymore proof that Fox News is ridiculous and spins stuff faster than my washing machine, but for those of you still on the fence, take a gander. Fox aired a story about some writers at the New York Times who weren’t saying very nice things about the network. Imagine that? People with less than complimentary things to say about what can only be described as the worst cable news network of all time. I digress. 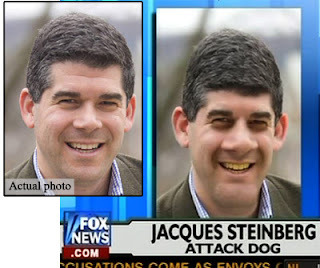 To essentially prove the writers were correct in their claims, some genius at Fox News decided to Photoshop the hell out of the writers photos and make them look atrocious. Here’s a video of the incident in question. Try not to throw up listening to these guys talk. I shouldn’t have to write this. I don’t want to write it. Not now. Not ever. 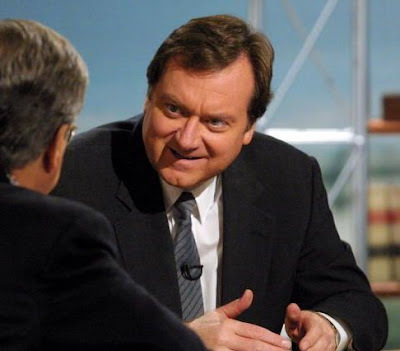 Tim Russert, moderator of Meet The Press, died today of an apparent heart attack. He was 58-years-old. He is survived by his wife, Maureen Orth, and son Luke. He was a compelling journalist, political whiz and a master conversationalist. He made current events surprisingly accessible and more importantly, interesting. Slide shows, video collages, essays, testimonials and the like will pour in over the next week. Russert’s books will fly off the shelf and we’ll sit through hours of tributes and maybe a special or two. Anchors will face their own mortality and wonder just what the headlines will read when their time here is done. So before all of that happens and before we lose sight of this, let’s just stop for a second and remember Tim Russert. He was a talented journalist, but better yet, he seemed like a really genuine and wonderful person. John McCain’s been making his rounds on the fluffier talk shows lately. He shined on Regis And Kelly and the Daily Show but Ellen Degeneres gave him a run for his money on her show yesterday. Finally! It’s about time McCain started getting worked up and challenged again. The Dems are still feeling the heat in every direction but since he’s the presumptive nominee, McCain’s been kind of worry free for awhile. No more buddy! Especially on an issue vital to so many people. Ellen & Portia’s wedding is going to be gorgeous and star-studded. I can’t wait to see the pictures. John McCain appeared on The Daily Show last night. He can go wherever he wants, easy to do when you’re not locked in a ridiculous, futile contest. I digress. McCain sat down with Jon Stewart to talk politics, the secret service, Mao, and general old man hilarity. You can watch the whole thing here and here but the part of interest came when McCain quipped that his running mate should be none other than Dwight Shrute, assistant to the Regional Manager of Dunder-Mifflin Scranton…and fictional. His staffers probably don’t want to tell him it’s not really a documentary. I kid. McCain seems like a funny guy. The fact that he likes The Office gives him points. Too bad we disagree on every issue except how awesome soup is and how much we love America. I blog at night so you’ve probably heard this story 15 times today, but far be it from me to ignore the most hilarious tidbit in TV news today. CNN.com is notorious for ridiculous headlines. It works for the web because it gets you to read the article, or even commit three minutes to a video (complete with advertisements). But now the Cable News Network is getting wise and has decided to make a buck of their witty copy editing. When you logged on to CNN.com today you may have noticed small t-shirt icons next to some of the news stories. That’s right, if you got a small chuckle from the headline, you can put it on a shirt. I’m a big fan of novelty t-shirts but there are few news stories that warrant a permanent place i my wardrobe. 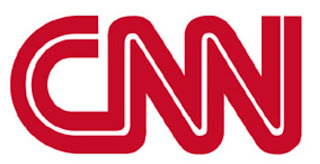 Do you think CNN will do well this initiative? 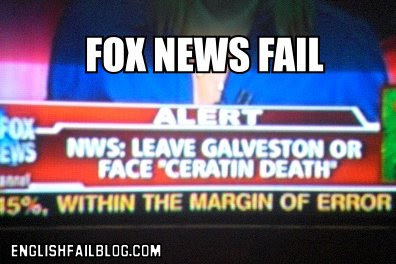 How long until they are the laughing stock of the online cable news community?